Robot 500 – Bumps & Bangs! There are lots of “500” races, and one series of races that happens each year in Tasmania is the Formula 500 speedway races at Carrick, Latrobe and Hobart. 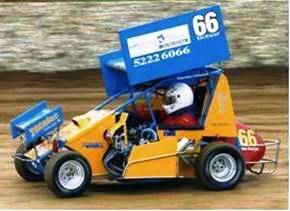 Speedway cars look like those below, with big wings to help them go around the tight speedway track corners. The speedway track is a dirt track, and is a small, tight track. 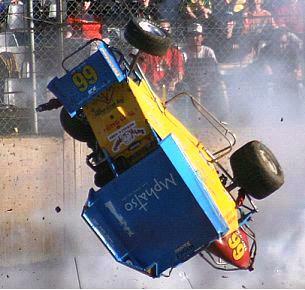 There are sometimes lots of crashes as the cars slide around the courses, but the drivers are usually safe because of the steel bars around them in the speedway racing cars. Speedway driving is dangerous, and we won’t ask you to do this. However a Robot Speedway race would be fun. Perhaps not 500 laps - we would never get home in time for dinner – but what about 2 laps? There are several ways we can run a Robot Bang & Bump race. This time, let us restrict our Robots to just using touch sensors to find their way around the Robot Race course. This will mean a lot of bangs and bumps, so make sure your Robot is strong enough to last 2 laps of the course without falling apart. It is a good idea to build your Robot Racer so that it fits into an 18 cm. (approximately 7 inches) cube – which is about the same size needed for the Australian RoboCup Junior Rescue Robots – so building a robot this size will be good practice for future RoboCup Junior Rescue competitions. ClareBot (Challenge 48) is around about the right sort of size, but feel free to build your own design of robot if you prefer to do this. However if your mentor or teacher agrees, any size of robot can be used – the main idea is to have fun learning how to teach your robots to do what you want them to do. Your Robot should have one or more touch sensors mounted low on their body. How high you mount these touch sensors will depend on the height of your arena walls. Two versions of the race track can be seen below, an older version (below left) and a newer version (below right) that uses the Maze tiles. The Maze component walls are 13 cms. (about 5 inches) high. Remember that if you mount touch sensors higher than that, they will not be able to detect the Robot Race arena walls. 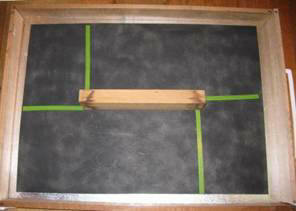 Your Robot can start with its wheels straight on any of the green/yellow lines. Your Robot has to complete 2 laps of the course, returning to its start line. A maximum of 2 minutes is allowed for each race. 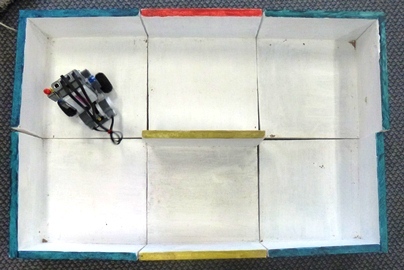 A Robot’s race ends if it falls apart during a race. You can also put two robots in the arena, and the winner is the one that catches the other. An early video showing student robots before they were perfected can be seen by clicking on one of these: phone, Windows, iPhone, iPad, Kindle Fire, YouTube. Teaching your Robot Bang & Bump Racer. Think about where you want your Robot Racer to go after it starts. What is the easiest way to instruct your robot to get around the central wall? What is the easiest way to teach your robot to stay straight so that it does not bounce off the walls all the time? What is the easiest way to teach your robot to go around the course really really fast?? Is the easiest way the best way? Is your robot securely built – will it fall apart before finishing two laps? The best Robot could be the one with the most laps at the end of 1 minute. If the number of laps is the same, the Robot with the shortest time could be the best. If the best robot can not be decided after a round of two Robot Bang & Bump Races, a third race with a 2 minute time limit could be held, with the Robot that covered the most number of laps being the best Robot on the day. If, after a 2 minute final, the Robots still cover the same number of laps, then the result is a draw! Go build your Robot Bang & Bump Racer! Mentor note: A three page Microsoft Word 2003 version of this Challenge can be seen by clicking here.